I really really like Haggis. I’d never had it until last year. But, I love the flavour. It reminds me of faggots, which we used to have with mushy peas when I was little. Brings back all of these happy memories. Traditionally you’re meant to have haggis on its own. But, the flavour is perfect for more. It’s kind lightly spiced and incredibly tasty. 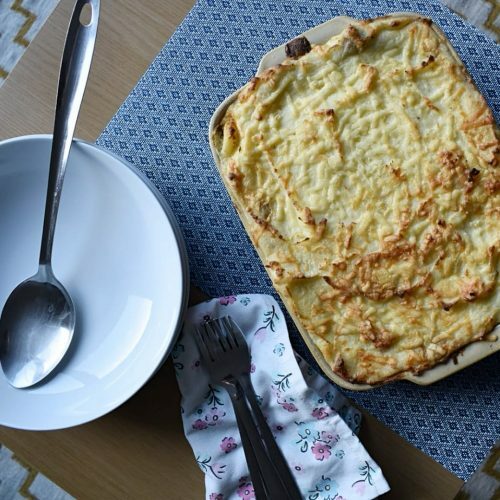 So you don’t need to season it or really do much with it at all to get an awesome meal like this Haggis Cottage Pie. The only thing that you really have to get used to is the texture. It’s quite dry I think. Which means that while you can use it in pretty much any mince recipe, it doesn’t behave the same. 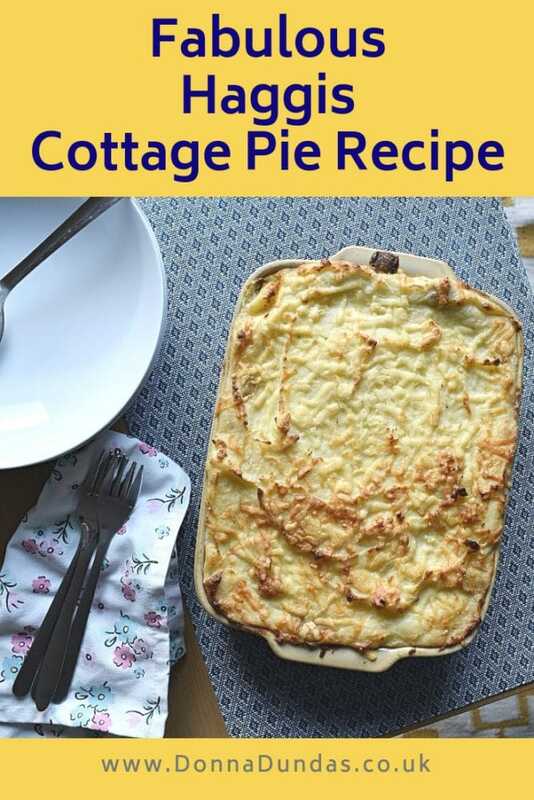 For things like Haggis Cottage pie, that’s fine, it’s very saucy so the haggis just cooks in the stock. But, it’s still different. Beef stays separate from stock and simmers away in it. Haggis combines more, so it’s like a very thick lumpy gravy. In other Haggis dishes, like my Haggis Meatballs and Haggis Burgers, I combine Haggis with beef mince, as the fat from the beef makes it easier to shape them. 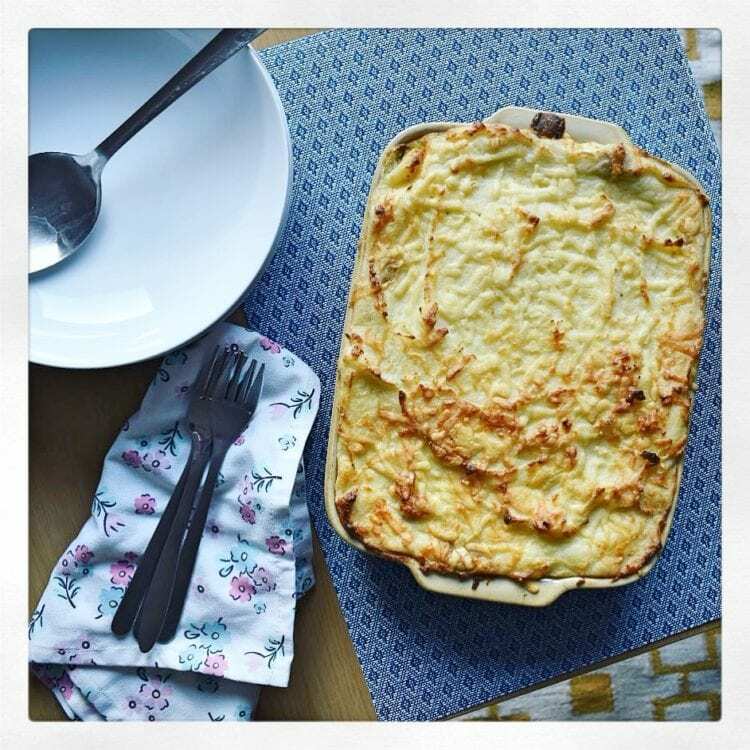 I have in the past made Haggis Cottage pie with a swede and potato mash, which is a fab alternative and a great flavour. 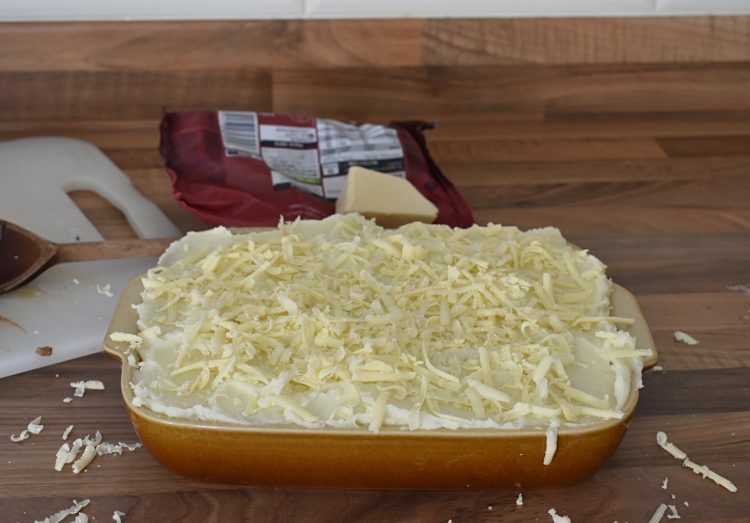 But, this one is just traditional, buttery mash. It’s really up to you. 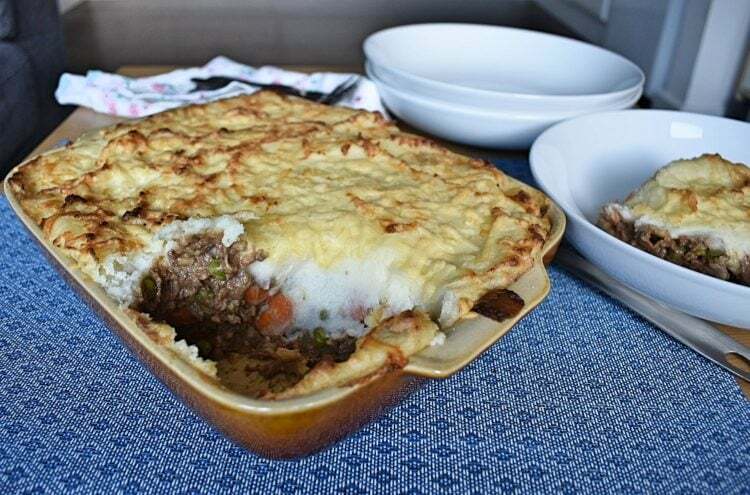 Haggis Cottage pie is a fun take on a family classic, and the perfect way to try haggis for the first time.